Neutrinos react rarely with normal matter, making them great messengers for phenomena happening far beyond our own galaxy. Undeterred by intervening planets, stars, and light-years of space, these neutrinos carry information from distant sources to our doorstep. It’s the dawn of neutrino astrophysics! These neutrinos carry far more energy than any other kind of neutrino we see here on Earth—and more than we could hope to produce in any of our experiments. They’re particularly important because they point to intense events in the cosmos. The exact source (or sources) is still a mystery, but it could include objects such as black holes, pulsars, the remnants of supernovae, energetic explosions called gamma-ray bursts, and active galactic nuclei (the bright, compact region at the center of a galaxy). Or it could be an entirely new type of source that scientists have never seen before. 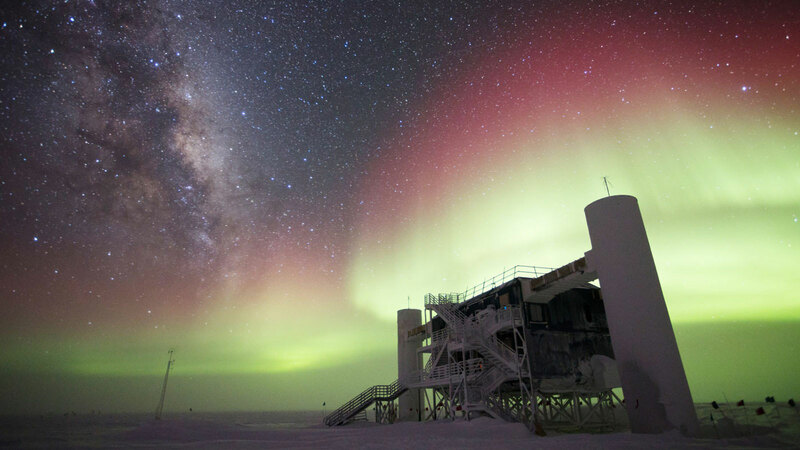 The most energetic neutrinos ever witnessed were cosmic neutrinos captured by the IceCube experiment, a neutrino telescope made of a cubic kilometer of Antarctic ice. Researchers witnessed neutrinos with petaelectronvolts of energy, or one thousand trillion electronvolts. In the particle world, this is a gargantuan amount of energy. For comparison, a typical atmospheric neutrino (formed by a cosmic ray interaction in our own atmosphere) has about 1 to 10 trillion electronvolts. Even the Large Hadron Collider, the most powerful particle accelerator in the world, smashes particles together only at around 13 trillion electronvolts. IceCube also traced a high-energy cosmic neutrino back to its source for the first time in 2018. 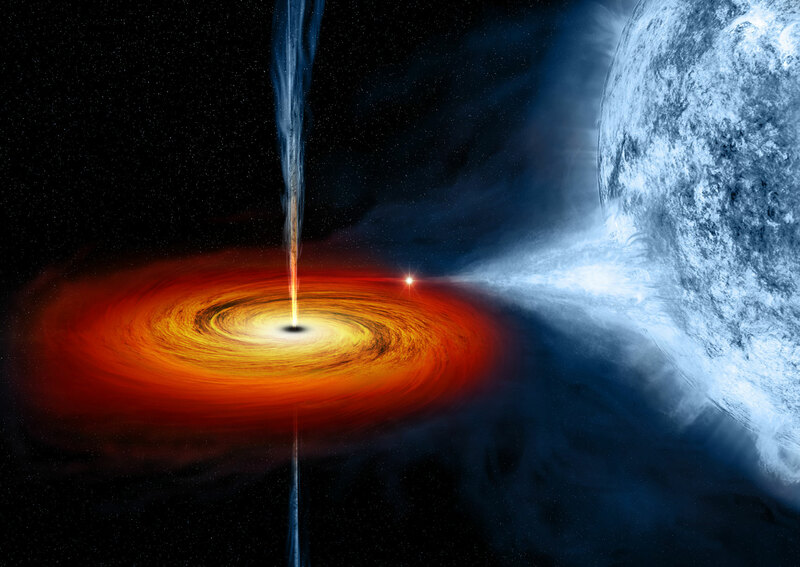 The culprit was a blazar, an energetic galaxy powered by a supermassive black hole. This ushered neutrinos into the age of multi-messenger astronomy, which uses signals from different kinds of messengers (including neutrinos, cosmic rays, gravitational waves, and electromagnetic radiation, or light) to study cosmic phenomena.